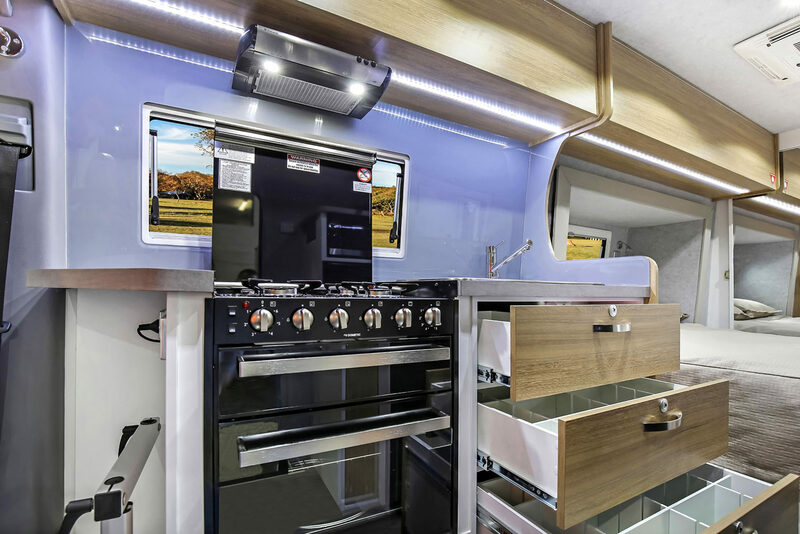 The 22ft Oasis Series is driven on a car license. 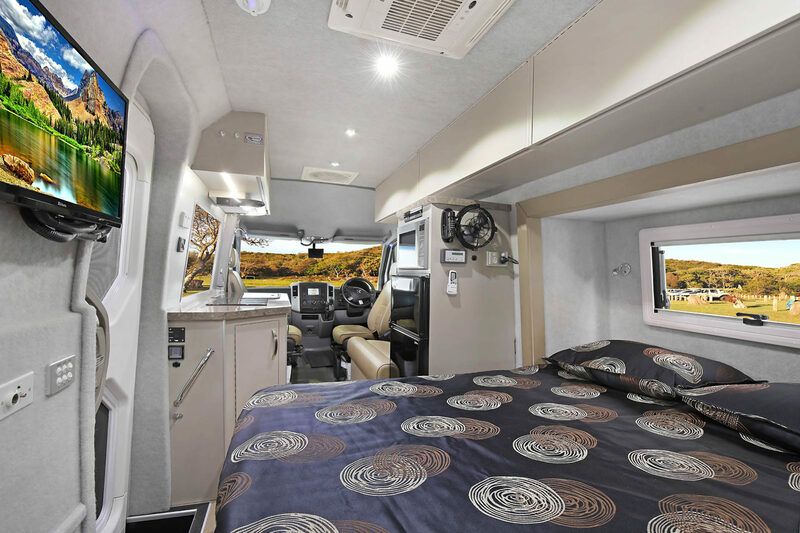 This highly desirable motorhome provides outstanding comfort and practicality that you will love to travel in. 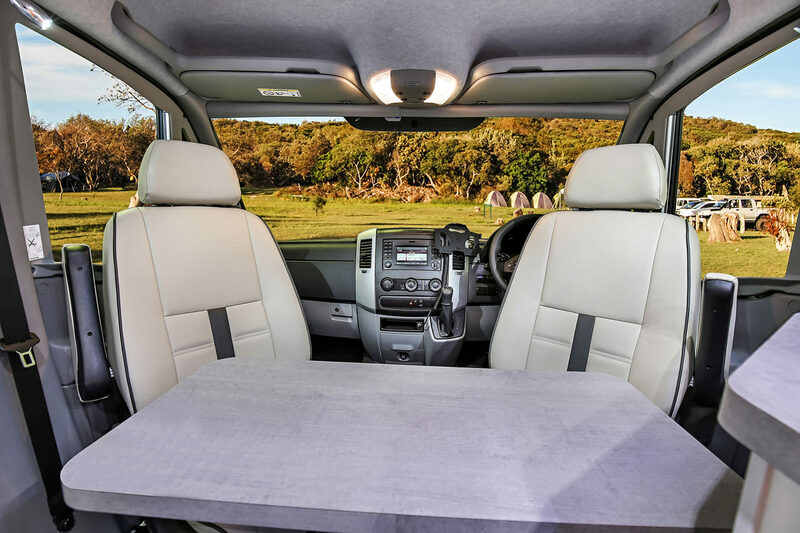 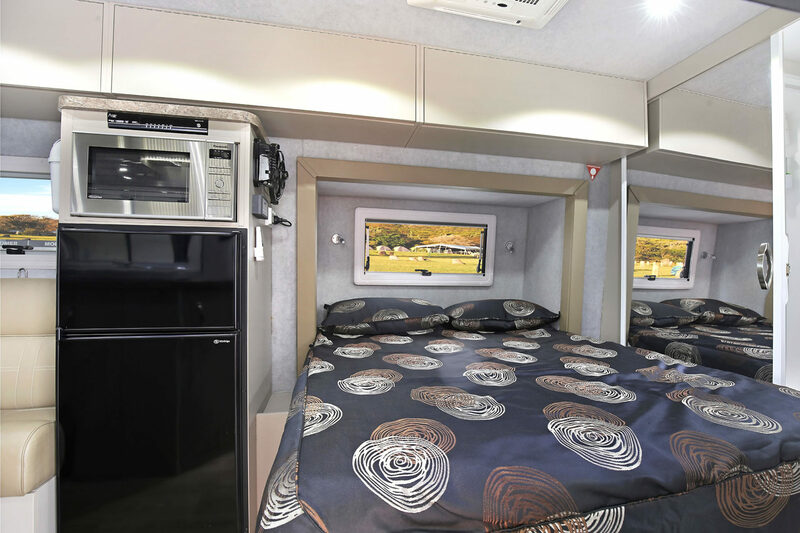 Space utilised by the layout and inclusion of the bed slide-outs in the Platinum and Deluxe models appear at the push of a button. 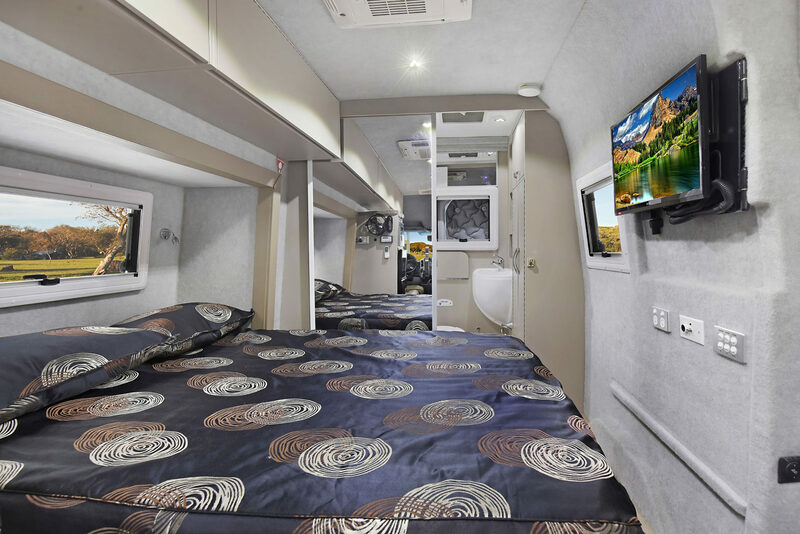 We are now taking orders on the newly released Mercedes Sprinter Van. 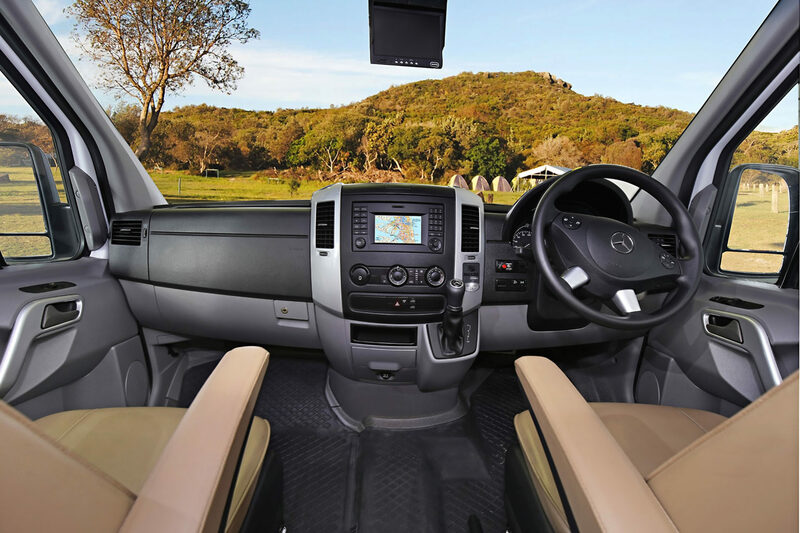 The Oasis series comes in 2wd 416 cdi with standard 7 speed transmission, Navigation/GPS and 10.25″ touchscreen, the Oasis series also has the optional 4wd based on the top spec Sprinter 519 cdi including Active distance assist, Smartphone cradle, MBUX multimedia system with 10.25” touchscreen, Navigation/GPS, Chrome grill, Wide mirrors/extra-long mirror bracket, 7G-tronic auto trans, optional extras: Active lane keep assist, Light and rain sensor, Long range fuel tank, 93L, Comfort seat pack with armrests for 2 bucket seats and Thorax airbags, central and forward mounted motorhome entry door complete with security screen, double-glazed tinted windows and striking two-tone paint with themed graphics. 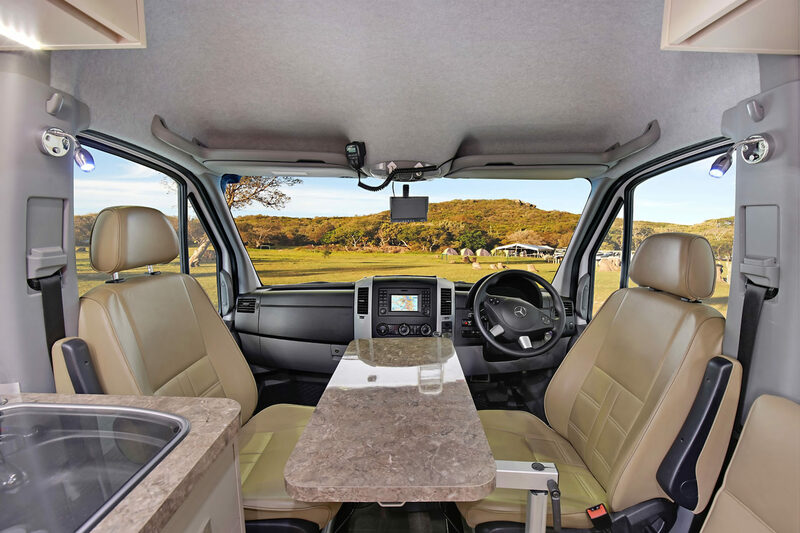 The Oasis makes it a pleasure to retire for the night with the luxury of a permanent island double bed or single beds and ideally positioned TV. 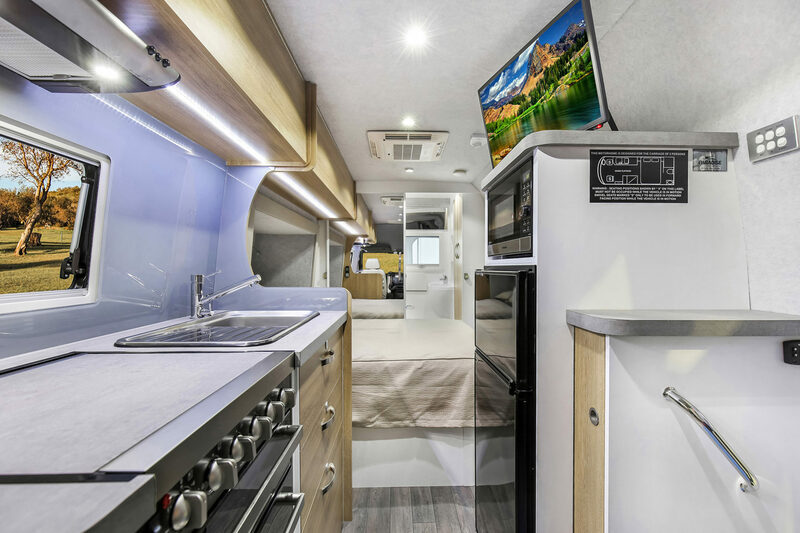 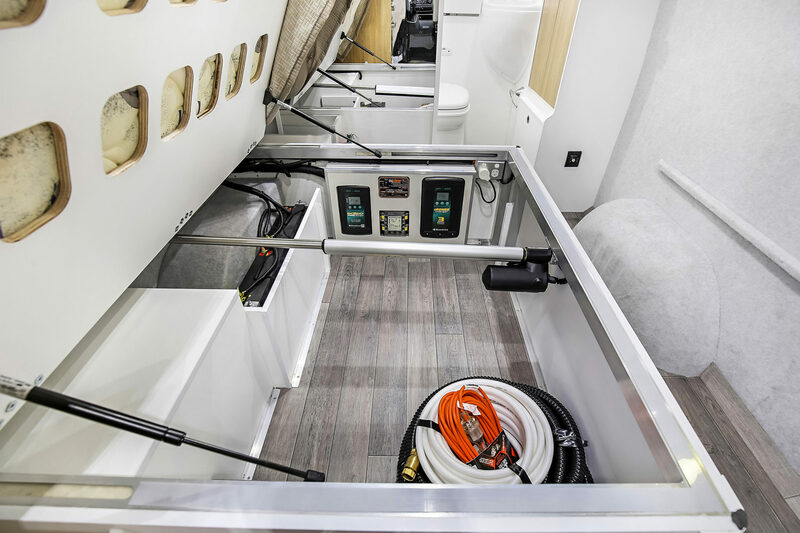 The rear ensuite on the Oasis Series cannot be compared to any other van conversion. 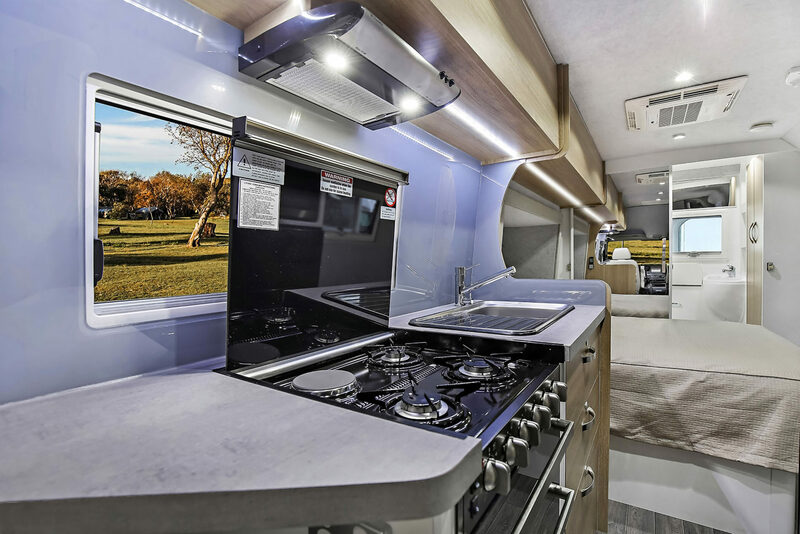 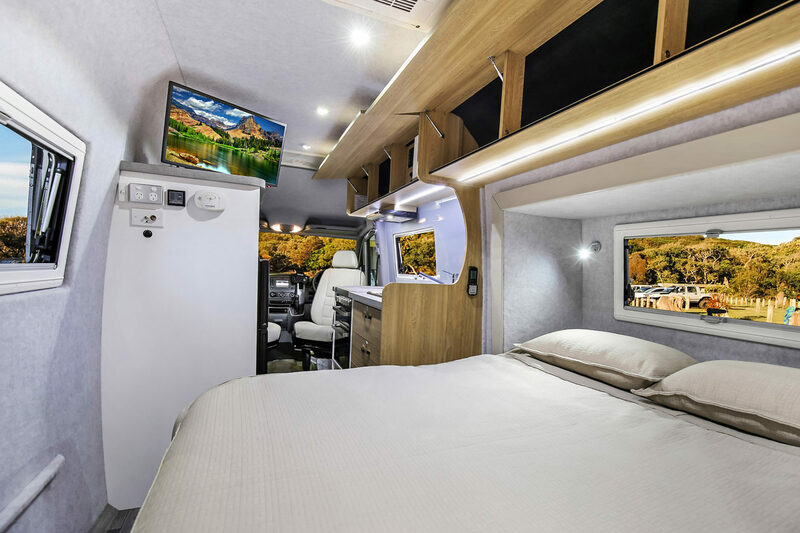 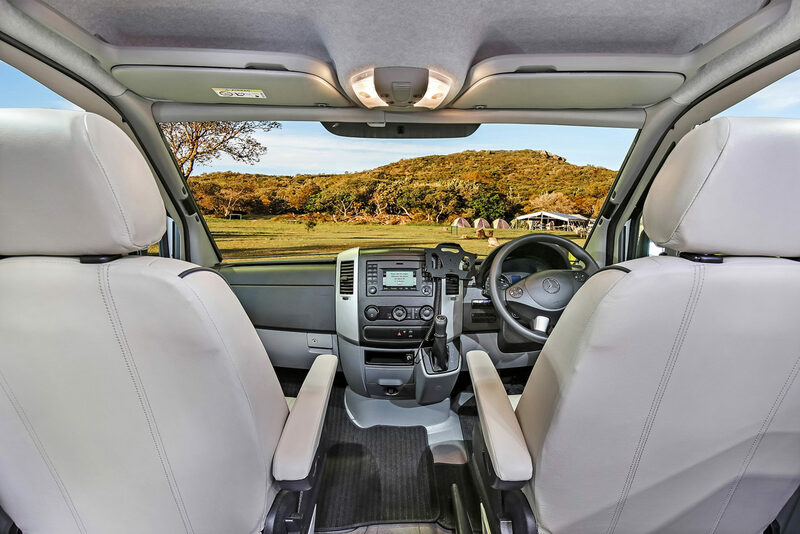 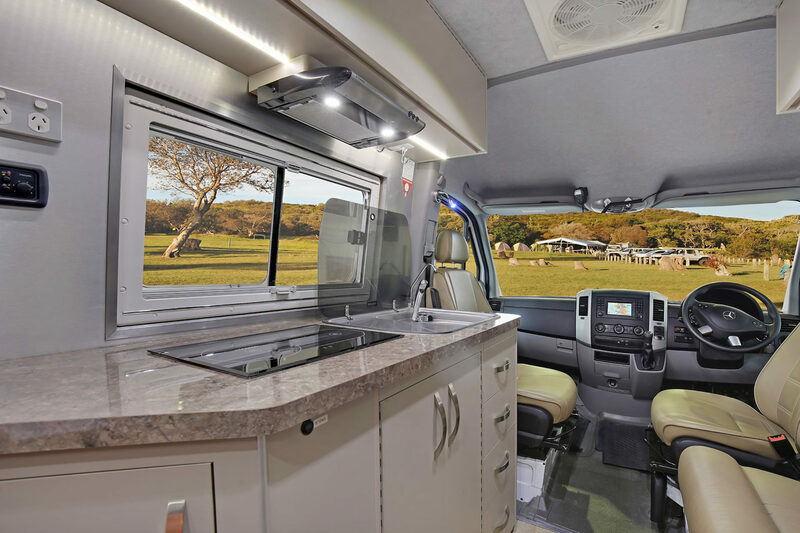 It is no longer ‘simply a campervan’, it’s an ultra mobile motorhome. 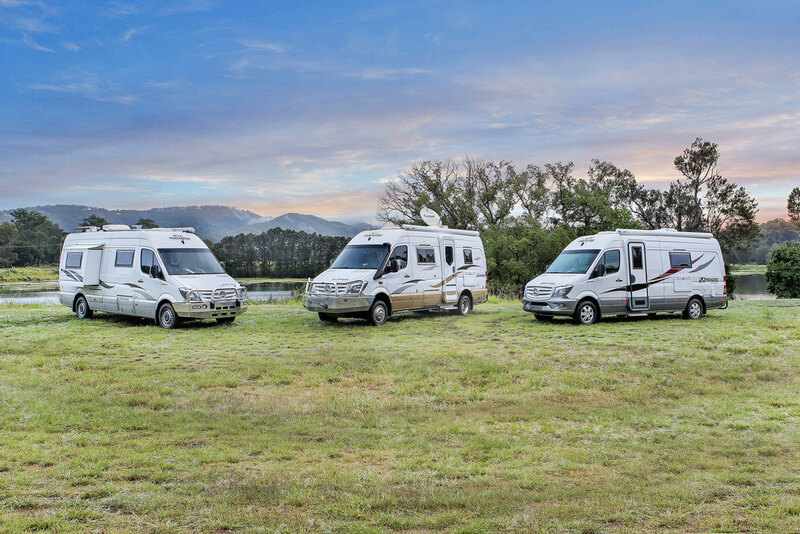 Calculating available payload in your motorhome’s GVM (Gross vehicle mass): In addition to the standard Tare weight which includes all standard inclusions/water/diesel (See sales staff) please take into account the following weights or passengers and their luggage to determine your Motorhome’s required GVM. 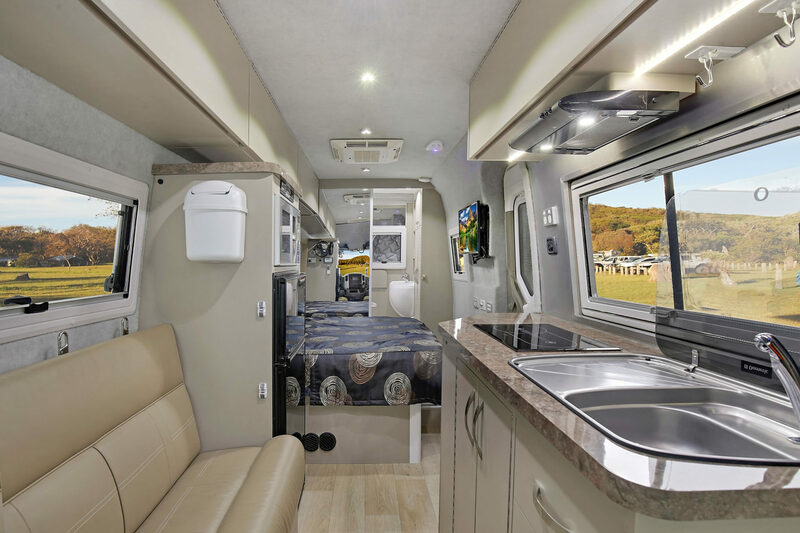 Click play to begin exploring the Oasis Platinum, Free time and Deluxe series motor homes. 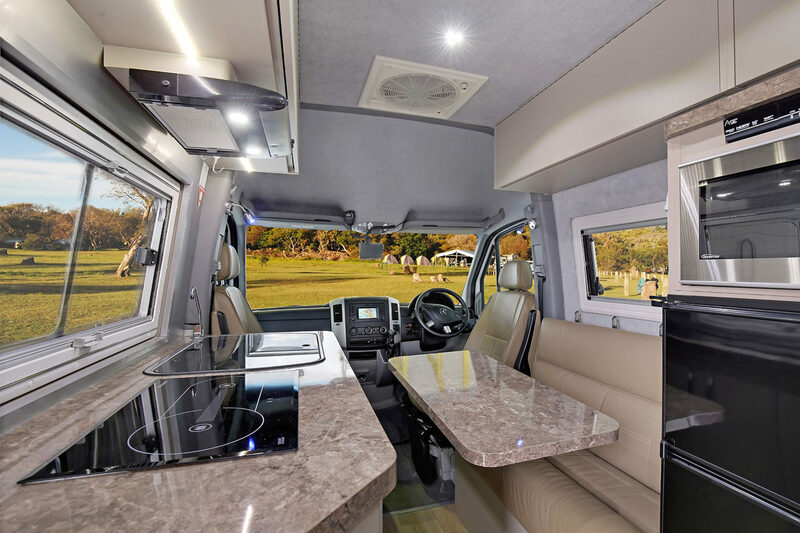 In addition to the new Sprinter line up is 2wd, V6 variant which is the 419 cdi and costs an additional $16,000.00 standard inclusions in the 419 are Electric parking brake, MBUX multimedia 10.25″ touchscreen, GPS/satellite navigation, Parking package with 360 degree camera, Active distance assist, Thermotronic climate control, light & rain sensor and Fog lamps.